The following article provices instruction on how to create a Training dataset for System Five. A Training dataset gives you the ability to play around and get oriented with the software, without affecting your live system. 1. You will need to make a copy of your System Five Live Data. To do this, Click here . Note: Everyone will have to be logged out of System Five when making a copy of your data. 2. 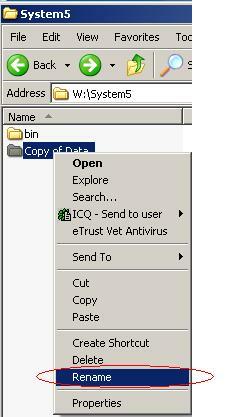 Once the dataset has been copied, right click the folder and select rename. Rename it to TrainingData. 3. 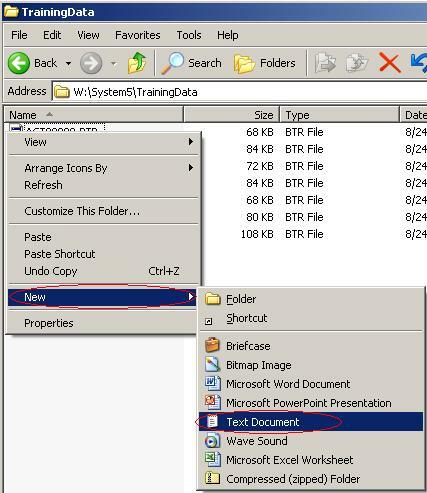 Once the TrainingData folder has been renamed, double click on it to enter it. 4. In the TrainingData folder, right click on the whitespace, and select new → text document. 5. 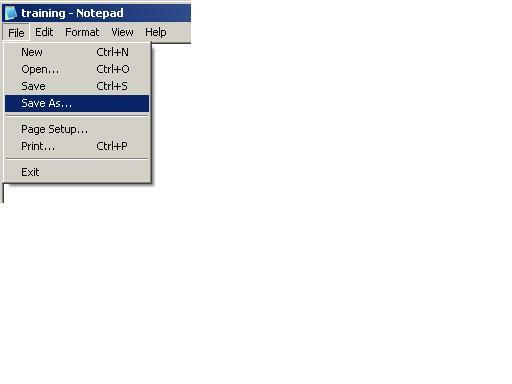 Name this text document, training and open it. Once opened, go to File → Save As and save the file as Training. 6. You should now have a Training file, in your TrainingData folder. Once this has been completed, you will need to link System Five to this dataset. 7. Open up System Five and select the option to Install. If the Install option is not available, select Link a new workstation to an existing company. 8. Select the path of your TrainingData folder. Typically it would be W: → System5 → TrainingData. 9. When the TrainingData folder has been selected, click Next and you will see your Company Name. Verify this line is highlighted and click Next again. 10. At this point, you will be presented with available terminals. Select any terminal and click Next. 11. After selecting your terminal, click Next and finish. You have successfully created a Training dataset, and linked to it as well.